Tabletop Day Achievement Badges! 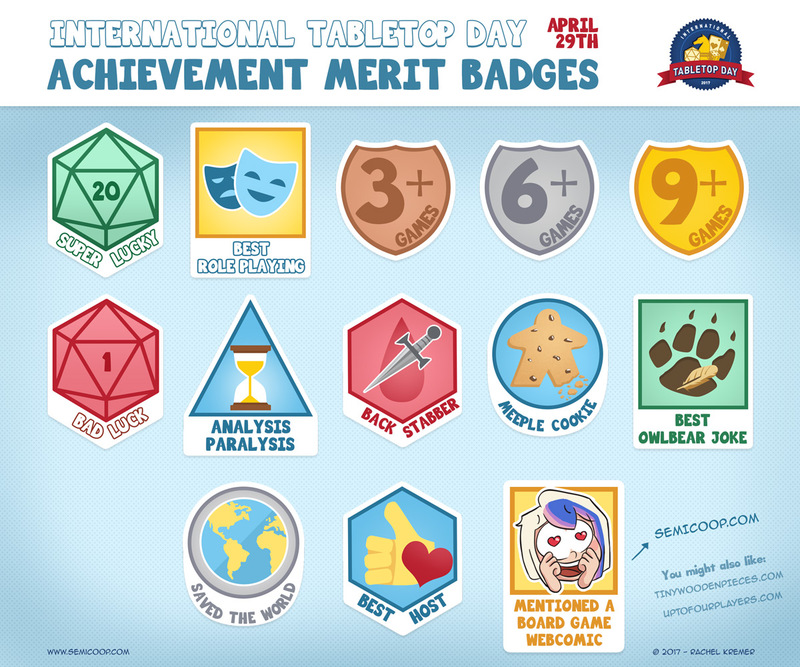 published on April 24, 2017 Rachel4 Comments on Tabletop Day Achievement Badges! 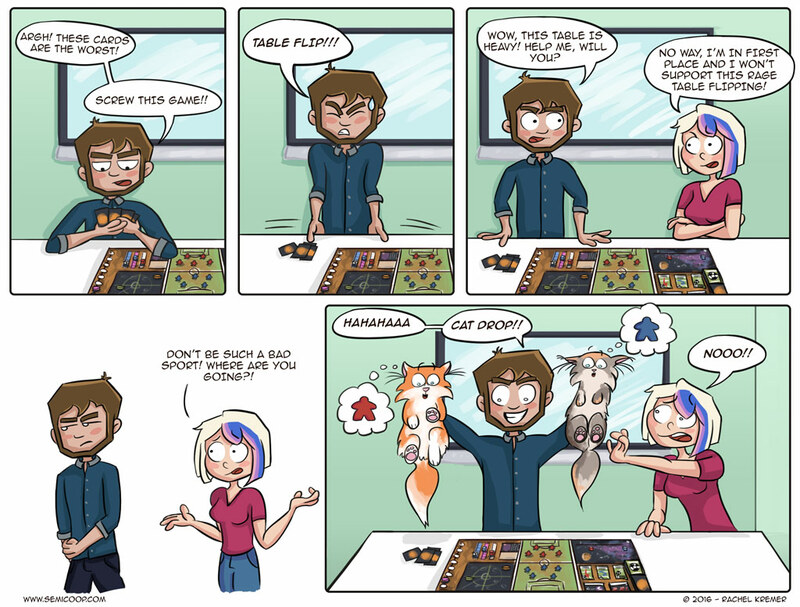 April 29th is this year’s International Tabletop Day! And to promote a day when people meet up to play board games (yay! ), we’ve made some achievement badges you can print and give to other people or yourself when they/you deserve it. A thank you badge for your host of the day, a badge for excellent role playing, a badge for playing a ton of games, saving the world and many more. Question time! What badges should we include next time? Perhaps you could also distinguish in the 3+/6+/9+ Games awards between playing 3/6/9 DIFFERENT Games and sessions of the SAME game (but maybe have that one be 3/4/5 or 2/4/6).